I know, I know, these are unforgivably late. But our annual Award Nominee Interview Series ballooned to 50 people and took forever to roll out. There’s still one TV interview to come but the My Cinema Award Winners have been announced and now it’s time for the My Theatre Award Winners (Read the full list of Nominees HERE). Any production that one of our writers saw between Jan 1 and Dec 31 2011 qualified for an award. With 5 divisions to cover (National, Regional I, Regional II, Student and Other), there are more My Theatre Award categories than both other award-giving branches combined. Still to come are our 2011 My Theatre Performers of the Year, our Emerging Artist Award (new this year) and the recipient of our yearly Honorary Award. 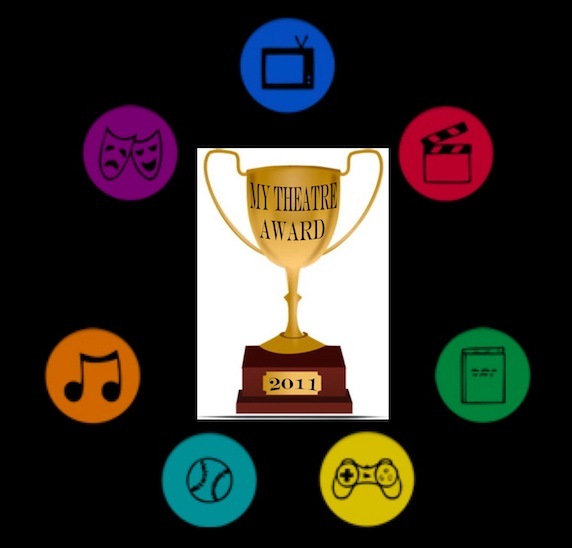 But without further ado, here are winners of the 2011 My Theatre Awards.